“By cutting health and safety regulations, inspections and inspectors, the government is putting the lives and safety of so many workers at risk. This is true not only in construction but also in workplaces that they have wrongly classified as ‘low risk’ such as quarries, farming, docks, the whole of the manufacturing sector, road and air transport, the public sector and more! FACK knows that health and safety isn’t a joke, it’s about life and death. 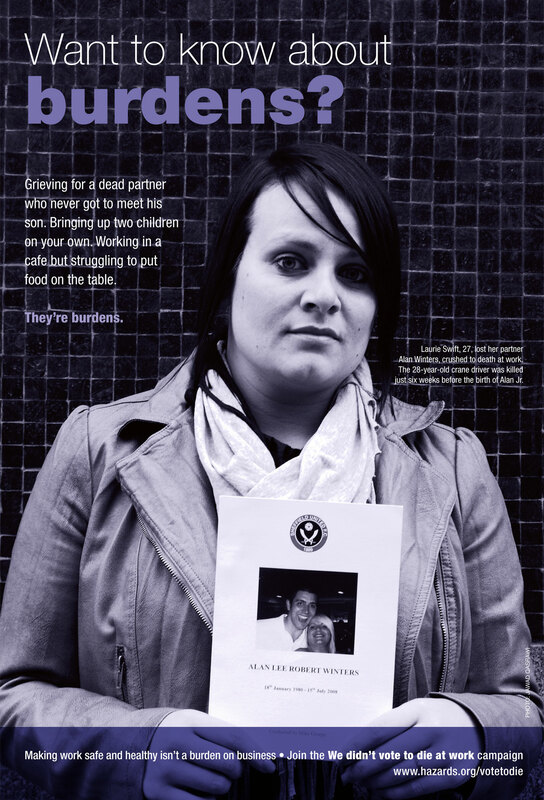 But many people do not realise that, until someone they love goes to work and never comes home. People aren’t killed because of too much regulation and enforcement, but because of not enough! 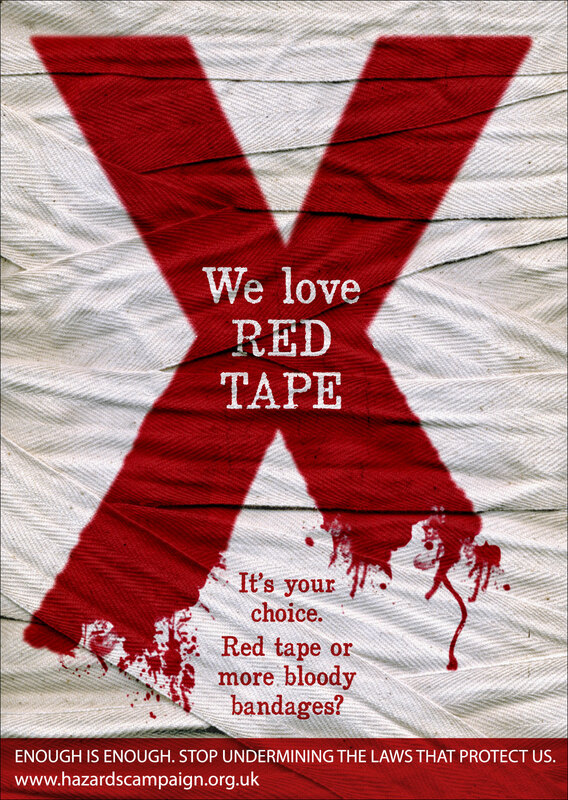 The only people who benefit from removing laws and scrutiny are unscrupulous employers. Employers will not necessarily look after workers health, safety and welfare unless the law says they have to, and inspectors check-up to make sure they do. Many people laugh about health and safety and think getting rid of it will be good for us all. This is not true. 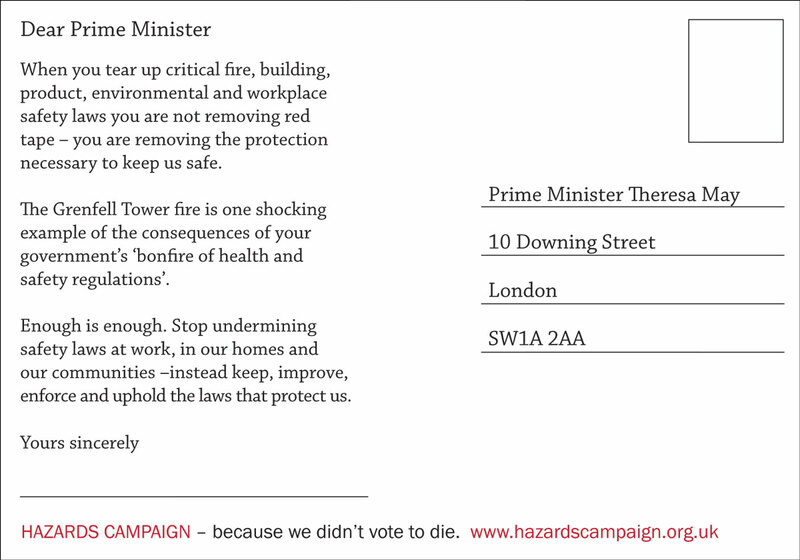 We want the public and MPs to learn from our bitter experience that health and safety is not meaningless red tape but a vital safety net that protects all the people you love at work. We don’t want you crying later when it’s gone. FACK wants to make sure a message goes out loud and clear to negligent employers that if you put someone’s life or safety at risk, then the punishment will fit the crime. The HSE records the costs of poor health and safety i.e. deaths, injuries and illnesses (over 70% caused by poor management according to the HSE) as £13.4 billion per year, but this does not include the long latency illnesses like cancers. Each incident fatality costs £1.5 million and each occupational cancer costs £2.5 million (DEFRA costing). So even taking HSE’s gross under estimate of 8,000 work cancer deaths per year would add £20 billion to this total making it nearer £40 billion per year. Taking Hazards figures would make it nearer £60 billion. See http://www.fack.org.uk/aboutus for the stories above.